Wine Affairs Trade is specialized in national and international winetrade. We supply wholesale, retail and special traders with selected products from our reliable and recognized producers. We understand ourselves for not only being a supplier whose service is restricted on pure delivery of goods. We rather stand for being a strong and competent partner offering swift and flexible support and competent consultation. For a reliable – national and international – completion we make use of our own logistics. With a dynamic team our company is very successful in breaking new grounds by individual concepts of wine trade in the field of convenience (food). The permanent updating of the know how of goods and the regularly given information on the development of the convenience market is an essential part of our company’s communication. From the very beginning we are the preferred partner of many established wine makers. With our network we developed the market. 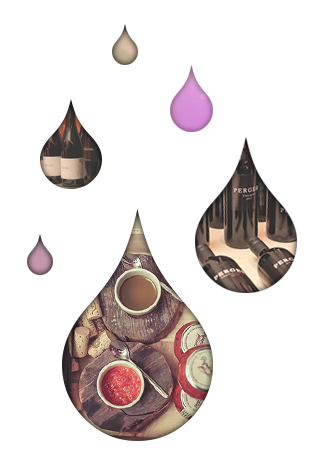 It is our target to build up and push the very strongly increasing spontaneous and convenience trade in the field of wine. We stand for a swift and flexible support of our clients in the fields of special, retail and wholesale as well as in the field of convenience. For a reliable completion we make use of our own logistics on one hand and strong competent partner in Austria and abroad on the other hand. and profit from our strong network! Become an exposer at the events of Wine Affairs und profit from our big range, the high level prominence of our events an a well developed network. Take the chance to amplify your business and expose your products in Austria to a broad professional public as well as to various knowledgeable guests, interessed in wine. Die dynamischste Weinmesse in Österreich, die Top-Winzern aus dem In- und Ausland die Möglichkeit gibt, vor ausgewähltem Publikum, Medienvertretern, Gastronomen, Hoteliers, ein sorgfältig ausgesuchtes Spitzen-Angebot stilistischer Weinvielfalt zu verkosten. Hier finden Sie eine Auflistung mit unseren nächsten Events und alle wichtigen Informationen rund um unsere Veranstaltungen! Ich habe die Datenschutzbestimmungen gelesen und stimme dem erhalt des Newsletters zu. Wine Affairs Vertrieb ist Spezialist im nationalen und internationalen Weinvertrieb. Wir beliefern den Groß-, Fach- & Einzelhandel mit ausgesuchten Erzeugnissen, zuverlässiger und anerkannter Produzenten. Durch Benutzung dieser Website erklären Sie sich mit der Verwendung von Cookies durch Wine Affairs einverstanden.OKErfahren Sie mehr.